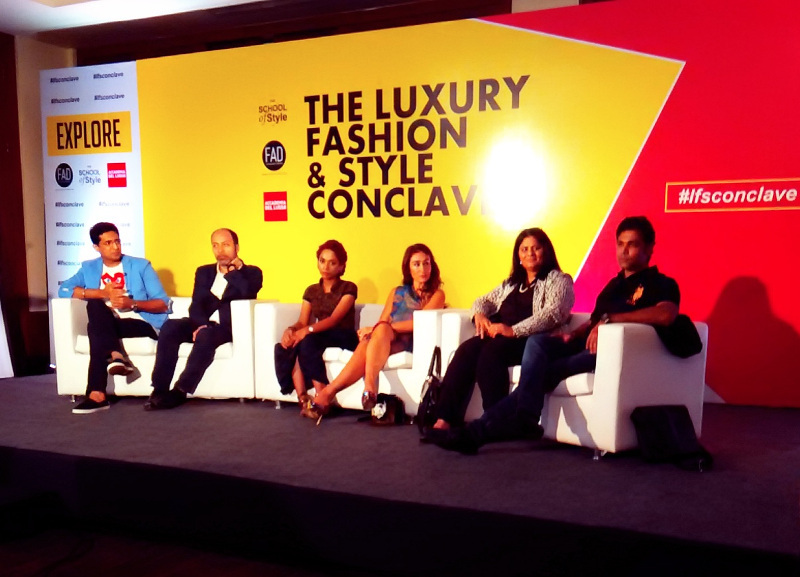 Last weekend I attended LFS Conclave at J W Marriott Juhu, a unique platform created by FAD International, a design school that provides education in fashion, fine arts and media in collaboration with Acaademia del Lusso (ADL). This platform offered one of the rarest occassions where fashion was discussed seriously and more from a business point of view. These discussions were beyond fashion shows and bollywood. The business part of it and issues that need to be addressed by ‘us’ designers, bloggers, fashion professionals and the likes. The event spread over two days had a number of talks with highly credible and experinenced panelists discussing fashion issues and interacting with the audience as well as answering their queries. The interaction between the audience and the panelists was so honest and unreserved that the talks even though about serious matters turned enjoyable. Though not all talks were serious. There were some fun discussions too like the one with Raghu Ram and RJ Siddharth Kanan and the one with Sherazade Shroff about The Business Of Blogging where the session was really candid and it was fun to watch her talk about her experiences and get her point of view. This conclave was a great platform and extremely enriching & inspiring and I so hope that we have more of such fashion events. 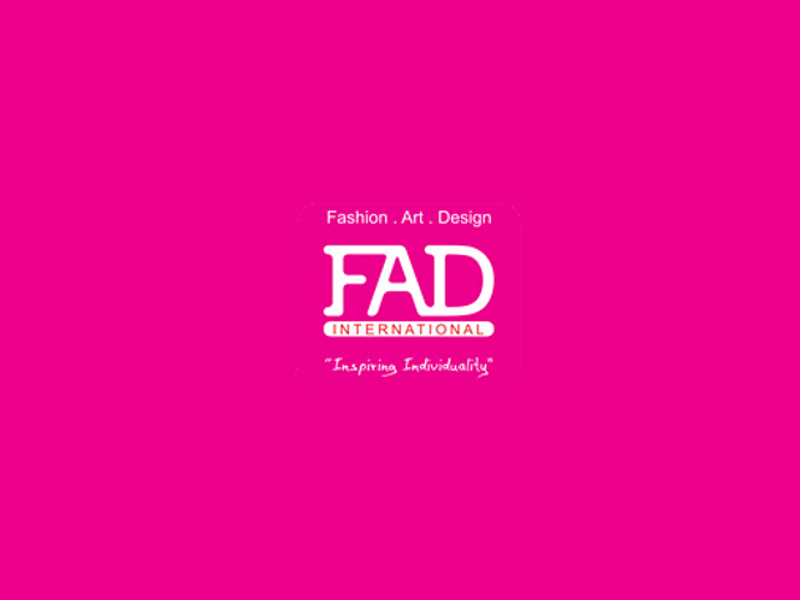 The one collaboration that I would love to mention here was the exclusive partnership between FAD and ADL, Milan. 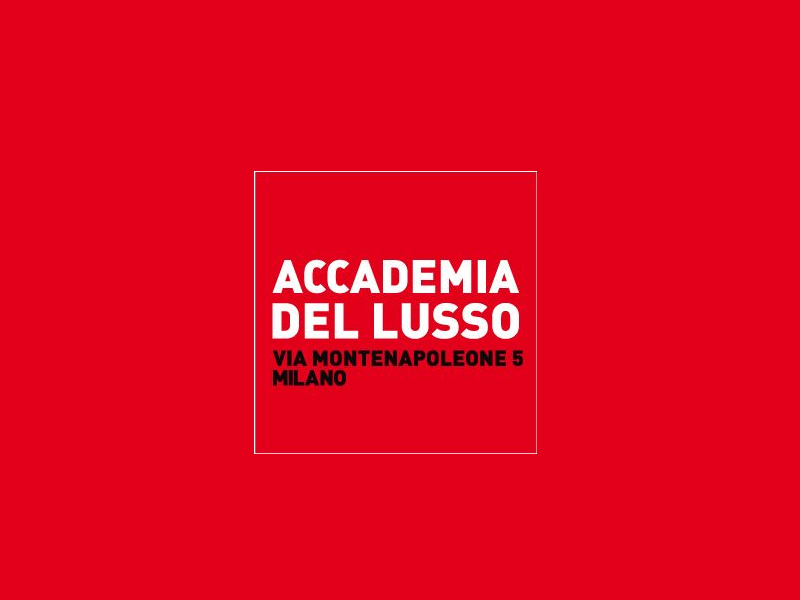 Accademia del Lusso is an Italian institute and their specialization is ‘creativity aimed towards luxury’. It provides education & training in luxury, fashion and design and help connect the key areas: Design to Management and Marketing to Style. 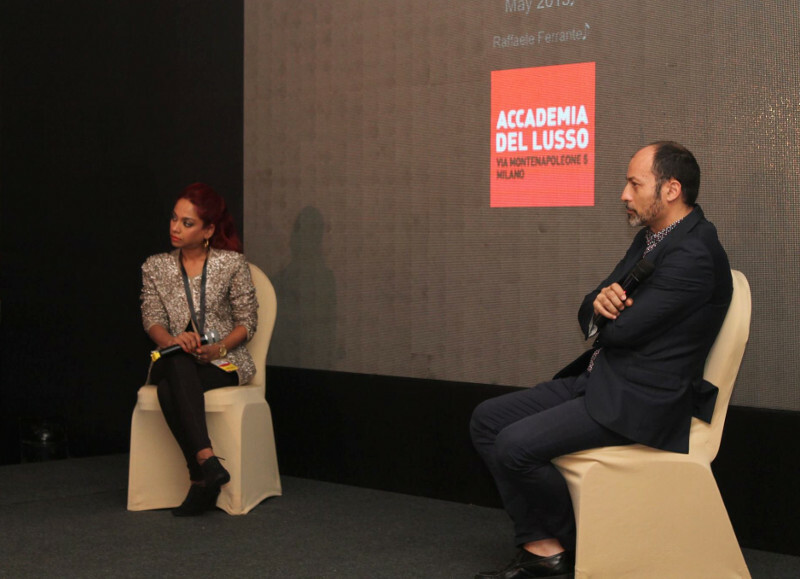 Raffaele Ferrante, professor at ADL who represented the institute at the LFS conclave has an experience spanning over a decade across fashion, sport, domestic appliances, furniture, funishings and the automotive sector. He has been instrumental in bridging the gap between marketing and design so as to identify and adequately satisfy customer needs and increase product value. Raffaele spoke about luxury in fashion and how luxury products are about the experience and not so much about the product itself. It was great to hear from somebody who had worked with luxury brands like Ralph Lauren, Hugo Boss, Kenneth Cole, Pirelli, Michael Kors and the likes. It was also one of the very few occasions when you really get to hear industry professionals and leaders talk about luxury fashion. The luxury industry is often too closed and private and difficult to penetrate and that is all the more reason why we need institutes like ADL to come to India and help young people enter the luxury market which has shown a continuous and steady growth even in a price-conscious country like ours. Also, considering the fact that a large number of European luxury fashion brands get produced/manufactured in India as well as India’s fascination for European aesthetics, there is a strong link that can be bridged by getting institutes like ADL to work with Indian design institutes. Where Italy has been a world leader in luxury with Milan being the Mecca of fashion, India too has been a leader in craftsmanship. However, India is a storehouse of untapped talent and skills, a problem that has its solution in collaborating with European fashion & design institutes. This will facilitate exchange of knowledge and information that can greatly benefit students and professionals in the Indian luxury fashion industry.